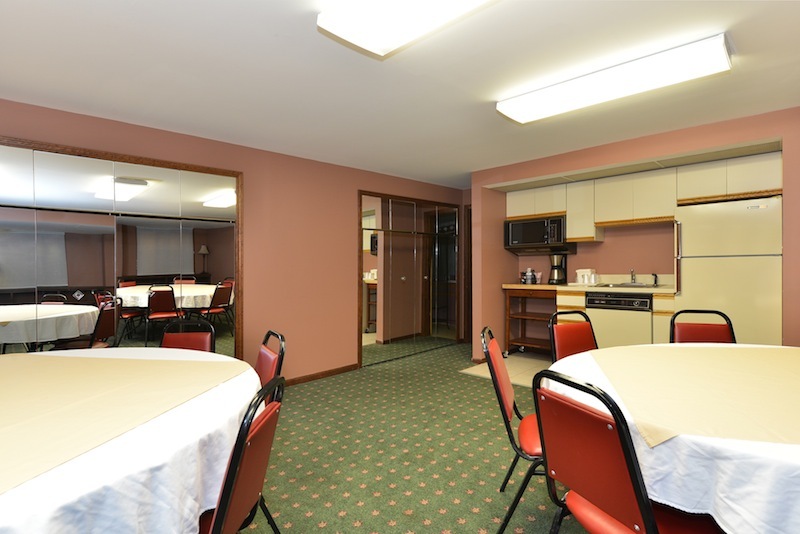 The BEST WESTERN Greenfield Inn is the perfect venue for your company or group meeting. 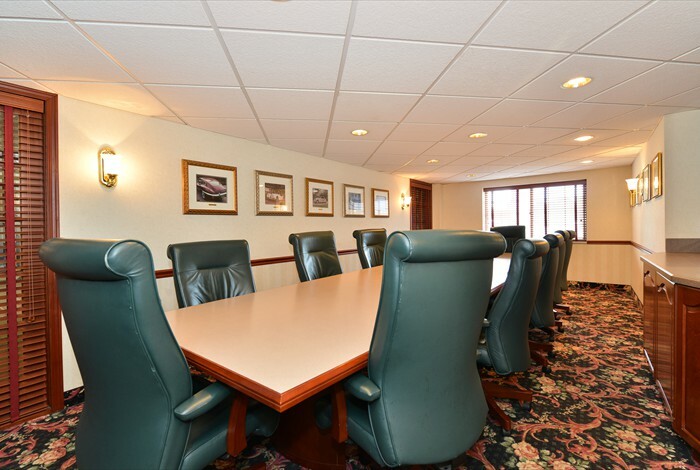 We offer several meeting rooms, and many of our larger guest rooms can function as hospitality suites. We have equipment available for rental including overhead projectors, TV/DVD players, flip charts, dry erase boards, and podiums. Meeting room fees include water service and complimentary pens and notepads. Our restaurant can provide a wide variety of menu options for coffee breaks, breakfast, lunch, or dinner upon request. We also reserve private areas of our dining room for special events and celebrations. Please call us at (313) 271-1600 to inquire! The Packard Room is located just outside of our lounge and it is perfect for small business meetings or events. The room is 24 feet by 24 feet with an 8 foot ceiling (576 square feet). The Rotunda Room is located in the turret of our front tower. It is a beautifully lit room with a permanent round table surrounded by panoramic windows. The Rotunda Room is perfect for upscale meals, executive committees, planning meetings, and visiting VIPs. The room is 200 square feet and will comfortably accommodate 8 people. Located off our main lobby, the Jaguar Room features a cherry boardroom table with twelve chairs. It is perfect for interviews, training sessions, and small corporate meetings. The room is 275 square feet and will comfortably accommodate 12 people in the boardroom style. The Cadillac Room is located on the second floor above our lobby and is the perfect room for small showers, family parties or gatherings. It can also be used as a hospitality suite for in house groups. This room features a refrigerator, microwave and sink for group use. This room can comfortably accommodate up to 35 people.